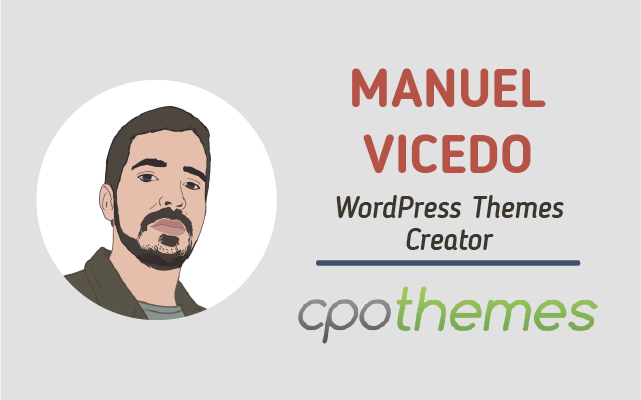 Manuel Vicedo is the founder of CPOThemes and creator of Forge– a front-end page builder that makes creating great content in WordPress a breeze. 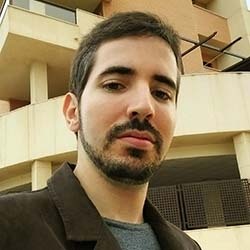 He hails from Spain and has been featured on popular WordPress blogs such as WPLift. He is passionate about creating software that makes publishing on the web easier, helping users create better websites. Could you tell us a little about yourself – how did you end up starting an online business? Back in 2008, I graduated from Wentworth Institute of Technology with a Bachelor’s degree in Computer Science. My passion has always been anything computer-related, so I ended up working with my father at his web design business. During this time, I found out creating things on the Web was something I really liked doing. I eventually took care of the entire business. At the time, I used to go the agency route and offer web design as a service to clients– developing websites, doing basic SEO, and so on. After a while I became disillusioned with client work, so I decided to create digital products and sell them over the Internet. Since I loved working with WordPress, I decided to give it a go and created CPOThemes. In a sense, I never had a day job because I was helping with the family business all the time. I did launch CPOThemes while at the same time having multiple client projects, though. However, as time went on, I have slowly dropped all my client work so that I can fully focus on CPOThemes and develop great products like Forge. In my years as a WordPress consultant, I’ve found that splitting your time between two different businesses can really take a toll on your attention. This results in mediocre results that don’t take you anywhere. From my experience, it’s better to dedicate all your attention to a single thing if you want to really produce something of value. The name CPOThemes is derived from CPO, which is the commercial name of the business I have. It stands for Concepts, Projects and Operations. Since I didn’t want to waste too much time deciding on a name, I just went the easy route. I figured out I could rebrand my business any time if I was successful, but so far the name has stuck around. Naming the Forge plugin (which is pretty much our biggest product right now) was an entirely different ordeal. For this one I really wanted a cool sounding name that was at the same time short and memorable, so I spent quite a few days brainstorming up some ideas. After a while, I stuck with the concept of shaping your content much like when you work with metal. You start with a rough block, and slowly polish it until it shines. It’s a design philosophy I liked a lot, since digital products are never great in their first version. Instead, you need to create something that will work, and then start iterating it over time. This same concept applies to creating high-converting content, so the Forge name simply stuck. For Forge, I wanted to create a solid, professional-looking brand. Since I am a weird mix of developer, designer and marketer, I set out to design the logo as well. The end result is a simple, yet recognizable logo that stands out. As for my branding strategy, I don’t have one yet. I’ve found that creating a really good product that solves problems is the best way to go, since it makes people happy. Making sure every customer is satisfied is probably the best thing I can do to reinforce my branding and spread the word. What platform does your blog run on? WordPress, obviously. 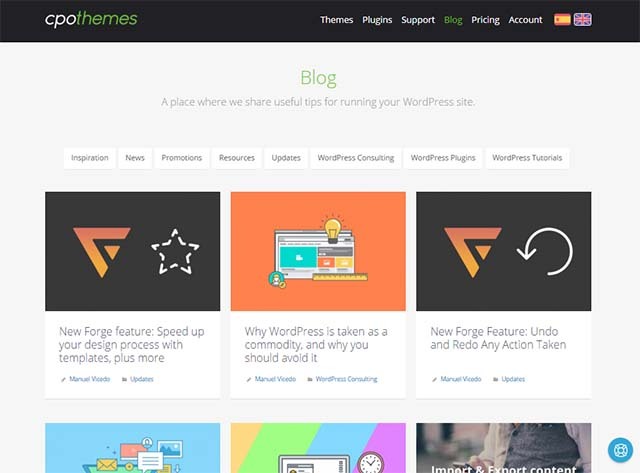 We use a single installation to run our CPOThemes blog and our store, which makes everything easier since it’s all connected to each other. We use Easy Digital Downloads for our store. This plugin does a wonderful job while also being speedy and simple, and over time we have added multiple extensions to expand its functionality, such as software licenses and invoices. Props to Pippin Williamson for developing this awesome tool! What are your top three plugins, the ones you can’t live without? Thrive Leads. It’s an awesome plugin for creating optin forms that can really boost the number of subscribers you get. I have used it on my personal blog, and it made all the difference thanks to its incredible optins, and extensive A/B Testing tools. The fact that you can measure the performance of each form and test one against another makes it a total winner. CoSchedule. While not strictly speaking a plugin– it’s more like a platform–, this tool helps you organize your posting schedule really well. It lets you see how your content will be published, and also send your new blog posts to your social media accounts. It’s a time saver and if you write regularly, it’s a godsend. Forge. I developed Forge for a very good reason: I wanted to create great content easily, but none of the existing page builders convinced me. So while it’s a bit of a shameless promotion, it has really helped me boost my business. I use it everywhere on my sites to mock up custom pages, which I can then tweak to boost conversions and get more sales. Having the ability to break free from the WordPress visual editor with a page builder is pretty much a game changer. No, I don’t think there is a specific set of steps that can be taken to replicate success. Instead, I think it all boild down to having the right mindset, and be willing to sacrifice time and effort for it. In fact, if I had to pick the most essential requirements for succeeding, I would say perseverance, education, and high standards. There is no such thing as quick, sustainable money in the Internet– you have to invest a lot of time until you start getting results. In addition to that, the most important tool you will ever have is your brain, so you need to fuel it with the proper education and training. And lastly, this is the Internet we’re talking about. It’s a world-class industry. So you need to be willing to pit yourself against the best and the brightest, which means holding yourself up to a very high standard. You have to go from good to great. What is a piece of advice would you give people looking to follow a similar path? To invest in yourself and try to learn something new every day. Most of my ah-ha! moments have come from reading about people who are way better than me. People such as Chris Lema or Brian Krogsgard have taught me a lot of things, and have never failed to inspire me to take the next step. So I recommend devoting a little bit of your time every day to read. It’s an investment that will be paid many times over, because it will help you make better decisions. Do you have any advice for novices starting their own websites, any rookie mistakes to avoid? Always keep things simple. I’ve seen many clients overthink things up, like wanting to create a full-blown corporate intranet with custom-made code instead of using a much simpler solution. If you can make do with a simple WordPress site and a premium theme, so be it. In reality, it does not matter how beautiful your design is, or how much you have optimized your website. What matters is that you provide a solution to a problem, or address a pain point. This is not to say that these things are unimportant, but finding the right audience for your product/service comes first. Then, after you have an audience, you can start worrying about the size of your logo. We don’t expect you to spill any trade secrets (unless you want to, then by all means…), but what’s the next big thing for you? Right now, my main focus is developing Forge. It’s slowly turning into a very robust tool, and I intend to make it even better with each update. The ability to create smart content, based on who your user is and what he represents to your business. Thank you for participating and helping others get online and share their passions with others. Great interview. And thanks Manuel for doing this.